According to the American Association for the Advancement of Science, the current federal spending on R&D is $146 billion, slightly more than half of which is defense related. From early days the U.S. government has taken an active interest in scientific matters. During the 19th century the Coast and Geodetic Survey, the Naval Observatory, the Department of Agriculture, and the Geological Survey were established. 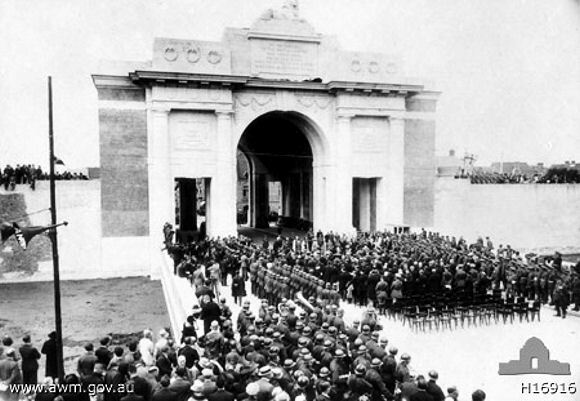 The First World War, however, helped establish and entrench state-sponsored and -directed Research and Development as a public duty and necessity. Rapid development of new weaponry, ersatz strategic materials, and more productive manufacturing processes became an imperative of national survival in total war. 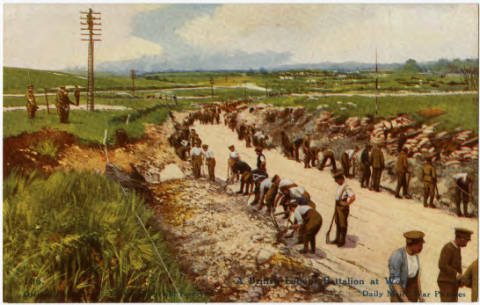 The World War I model of the command economy in these new technologies, as well as in investment and distribution, was enduring and seductive. Thorstein Veblen, Herbert Hoover, and assorted technocrats invoked it in the United States. Later, their successes in the war would inspire the New Deal of the future President, Assistant Navy Secretary Franklin Roosevelt. 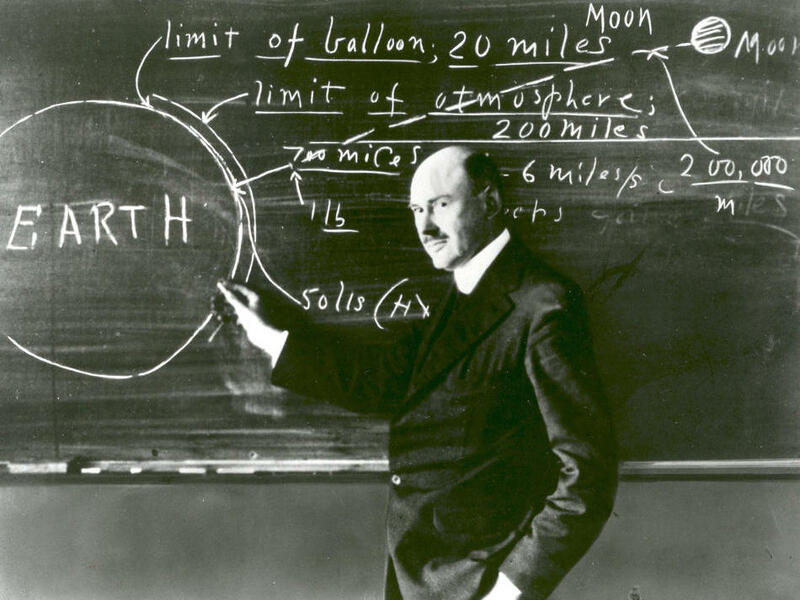 As the American Civil War produced the National Academy of Sciences and Land Grant colleges, the Great War produced the National Research Council and NASA's predecessor, the National Advisory Council for Aeronautics. The Smithsonian Institution was called upon to recommend scientists to advise and staff many projects, such as Dr. Goddard's work for the Navy..
One of the lasting effects of the Great War is that it showed governments they could invent novel excuses for new intruding into the lives of their citizens. All of this was done out of "best intentions," of course, but it was a very big step toward the bureaucratization and regulation of American life, ever-increasing as it has been up to today. One case study from the U.S. National Archives involved FOOD. Even in peaceful times Americans frequently debate fundamental questions about government: What should the federal government do? What does the Constitution sanction? What does it prohibit? What is the relationship between governmental action and volunteerism? During wars, declared or not, Americans argue even more fervently as they often witness government undertaking different and more numerous roles than it undertakes during peacetime. From the outbreak of World War I in Europe until the signing of the Versailles Treaty, the Wilson administration proposed and implemented an extraordinary number of programs that affected the lives of Americans in their everyday activities. Even the Progressives, who tended to favor more state and federal responsibility, must have been dazed at the expansion of government action beyond the conventional arenas of public policy. The Lever Act of 1917 represents both the normal working of American government and the extraordinary circumstances of World War I. The process of creating the Lever Act certainly followed the "legislative dance" outlined in the Constitution and by congressional custom. Entries in the indexes to the New York Times for 1917 testify to the accepted but various interests of members of Congress in supporting or opposing the legislation; other entries show the range of lobbyists interested in supporting or opposing the bill. In this, the legislative dance seemed typically American: proposed legislation, support or opposition from special interest groups, legislative revision, and congressional hearings. In August 1917, the dance ended. Congress passed the Food and Fuel Control Act (40 Stat. 276), also known as the Lever Act. Using the same authority, Wilson created two subsidiaries, the U. S. Grain Corporation and the U. S. Sugar Equalization Board. Together these bodies would extraordinarily impact American lives. 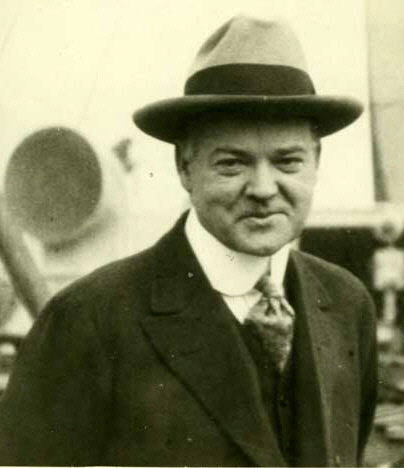 Herbert Hoover, former head of the Belgian Relief Organization, lobbied for and won the job of administrator of the Food Administration. Hoover had made clear to President Wilson that a single, authoritative administrator should head the effort, not a board. This, he believed, would ensure an effective federal organization. He further insisted that he accept no salary. Taking no pay, he argued, would give him the moral authority he needed to ask the American people to sacrifice to support the war effort. As he later wrote in his memoirs, his job was to ask people to "Go back to simple food, simple clothes, simple pleasures. Pray hard, work hard, sleep hard, and play hard. Do it all courageously and cheerfully." As head of the U. S. Food Administration, Hoover, given the authority by Wilson, became a "food dictator." [Apparently, the phenomenon of Federal "czars" is not a new one.] The Lever Act had given the president power to regulate the distribution, export, import, purchase, and storage of food. Wilson passed that power on to Hoover. To succeed, Hoover designed an effort that would appeal to the American sense of volunteerism and avoid coercion. In designing the program, he adopted a federal approach, combining centralized power and decentralized power. He oversaw federal corporations and national trade associations, and he sought cooperation of local buyers and sellers. Through it all he called for patriotism and sacrifices that would increase production and decrease food consumption. "Food," Hoover and the administration proclaimed, "will win the war." "No aspect of the people's lives remained unchanged," wrote one historian in assessing the effect of this board and its companions, the War Industries Board and the Fuel Administration. Under Hoover's direction, the Food Administration, in league with the Council of Defense, urged all homeowners to sign pledge cards that testified to their efforts to conserve food. The government boards issued the appeal on a Friday. By the following week, Americans had embraced wheatless Mondays, meatless Tuesdays, porkless Saturdays. According to a sesquicentennial article in the Milwaukee Journal Sentinel, in Wisconsin's Green Lake County 100 percent of the housewives signed on and 80 percent of Milwaukee did. Schoolchildren joined housewives in supporting the effort by signing this pledge: "At table I'll not leave a scrap of food upon my plate. And I'll not eat between meals, but for supper time I'll wait." In support of the war effort, Americans discovered nouveau menus filled with dogfish, sugarless candy, whale meat, and horse steaks. They planted victory gardens and prized leftovers. Even President Wilson cooperated, grazing sheep on the White House lawns. The emphasis on voluntary support worked. While Hoover preferred the emphasis on the "spirit of self sacrifice," he also had authority to coerce. He set wheat prices and bought and distributed wheat. Coercion plus volunteerism produced results. By 1918 the United States was exporting three times as much breadstuffs, meat, and sugar as it had prior to the war. To achieve the results, the Food Administration combined an emphasis on patriotism with the lure of advertising created by its own Advertising Section. This section produced a wealth of posters for both outdoor and indoor display. One proclaimed: "Food is Ammunition—Don't waste it." Another featured a woman clothed in stars and stripes reaching out to embrace the message: "Be Patriotic sign your country's pledge to save the food." A third combined patriotism with a modern healthy diet message. At the top, the poster encouraged readers to: "Eat more corn, oats and rye products–fish and poultry—fruits, vegetables and potatoes, baked, boiled and broiled foods." At the bottom, the poster concluded, "Eat less wheat, meat, sugar and fats to save for the army and our allies." All of these posters, now part of Record Group 4, the Records of the U. S. Food Administration, testify to the intent of the government to mobilize the food effort during World War I. As much as possible, it did so under a banner of volunteerism, rather than coercion. 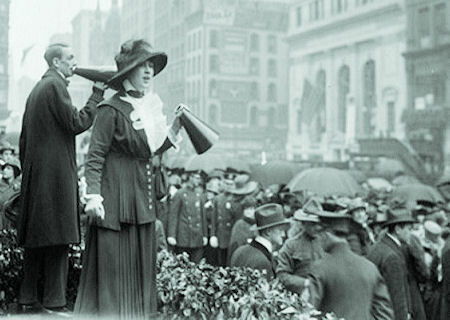 In doing so, the Wilson administration created a program that did affect the everyday lives of Americans during World War I. An executive order of 21 August 1920, terminated the remaining branches of the U.S. Food Administration. I rate Tymble for lurching out of his section of fours, and he tells me to go to bloody hell. I say: 'Shut up, cover over, and get the step.' He tells me that bastards like me ought to be shot for annoying the troops and it would not take him long to do it. I get annoyed, and moving close to him ask him what he would suppose I would be doing while he was loading up to shoot me. His comrade nudges him. He twitters like a drunkard, wipes his mouth wearily with his sleeve, and says he is sorry. A bad business. Too much on the men when they begin to talk like that (31). Diary entries are highly evocative not only because the writer does not know if he is about to die but also because of their sparseness. An entry from Captain Rowland Fielding's diary, which covers two consecutive days in May 1915, is a case in point. 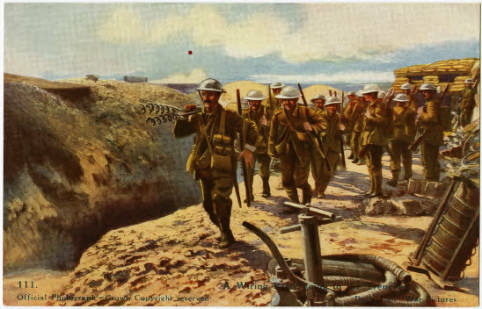 The first day begins at 5 p.m. with Fielding's arrival in the trenches. This is followed by a series of messages (each outlined in brief); these begin at 6:45 p.m. and continue until 2 a.m. Fielding goes to bed at 3:30 a.m., is woken at various points during the night to respond to messages, orders the re-burying of "a Fritz who, owing to a night's rain, has suddenly appeared in Regent Street" (186), and receives an unexpected visit from the brigadier-general and staff. The brevity of the latter's order serves to emphasize Fielding's frustration — "everything that has been dug out [is] to be filled in and everything that has been filled in [is] to be dug out" (186). It is not clear to what extent this should include the body of "Fritz." When the brigadier-general leaves, the officers turn to "eating chocolates, writing letters home to children and picking flowers off the bank" (186), a temporary but clearly much needed retreat from the harsh reality of war. But chiefly I thought of the very strange look on all faces in that camp; an incomprehensible look, which a man will never see in England, though wars should be in England; nor can it be seen in any battle, but only in Etaples. It was not despair, or terror, it was more terrible than terror, for it was a blindfolded look, and without expression, like a dead rabbit's (346). The literary nature of the letter is in sharp contrast to the sparse diary entries, but both are evocative in their different ways. Holmes's study also contains letters from ordinary soldiers. The worst wounded seemed often to feel less pain than those who had slighter wounds. The shock of a shattered limb seemed to destroy the nerves in that part of the body. One lad said to me, 'Oh my leg is so stiff, Sir,' and the boy's leg was smashed altogether … But I heard no word of complaint, and scarcely a groan, 1 July 1916. (476). Holmes concludes his story of the war with the comment that we can only "judge the men who fought the war by their motives and achievements, not by the conflict's origins or results" (631). He urges us to honor the memory of the men. The final sentence — "And let us do better for their great-grandchildren than we did for them" (631) — is a clear challenge. The first step is to ensure that we understand the extent of the sacrifices made by the British Tommy. Holmes's study is an excellent starting point with its numerous extracts from private documents, copious black and white photographs and illustrations, and its comprehensive bibliography. Tommy shows the best and the worst of men who took part in a struggle for which they were ill-equipped but where everyone did his best, in his own way. Such sacrifices shall not be forgotten. As the Battles of the Somme raged on the Western Front, the Daily Mail newspaper secured the rights to print and publish a long series of picture postcards, many of them colored. Most appear to be from photos, others seem to be from illustrations. 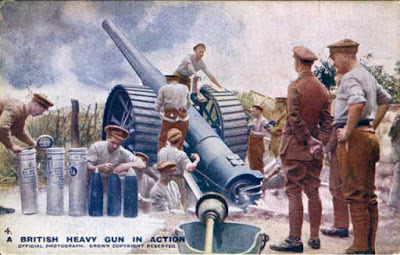 The images were of scenes and incidents, which occurred during the Somme offensive. 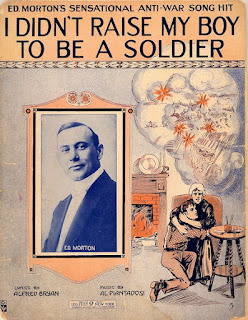 I found most of these at the website of the New York Public Library, which has vast WWI holdings. Fort Souville atop Hill 388 on the road between Fleury Village and Fort Vaux played a key role in the Battle of Verdun. In July 1916 German troops reached its top but never advanced farther. 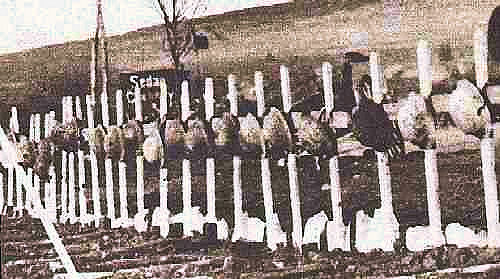 Afterward it was evident that improvements needed to be made for in-close defense of the Verdun forts. The capture of Forts Douamont and Fort Vaux had proved very costly. 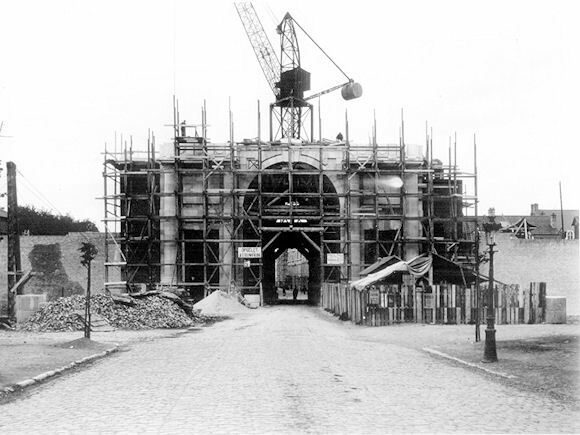 These additions had to be made quickly, because it was not known if the Germans intended to renew the assault on Verdun, and made with materials available immediately. 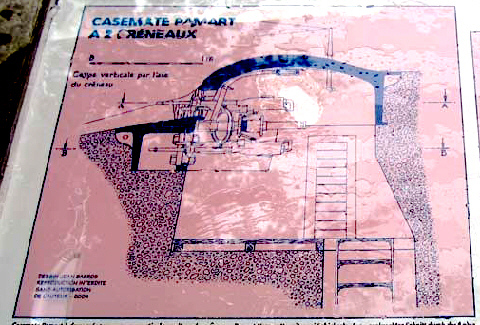 The solution was the Pamart armor plated pillboxes that could be built on the hill's slopes as shown above. These were named after their designer, Commandant Pamart at Fort Genicourt. 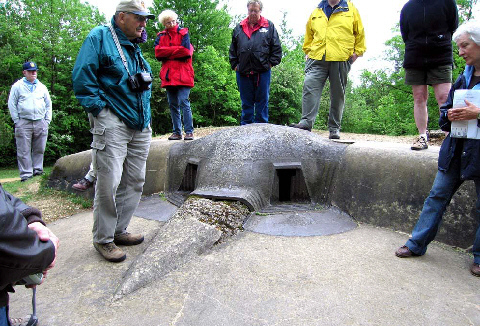 The distinctive design, reminiscent of an elephant's snout, provides a memorable photo-op for visitors to the Verdun battlefield. 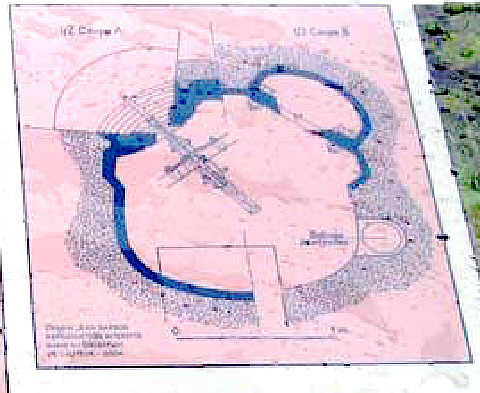 Three of these were installed at Fort Souville. They each had 14 cm of armor and each of them had two carriage-mounted machine guns. 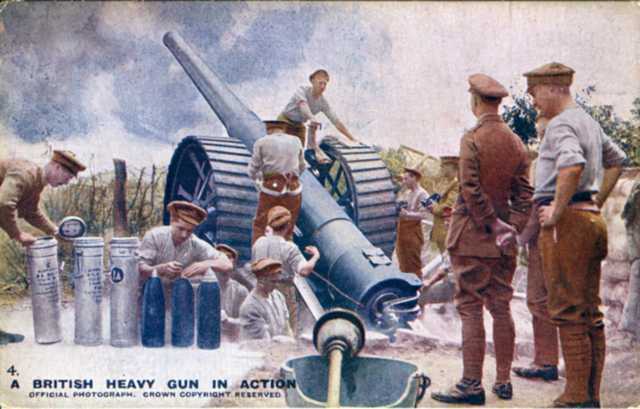 They had a firing arc of 160 degrees but were more reliable than the disappearing turrets with a wider field of fire since they could not be jammed by debris from exploding shells from the enemy. 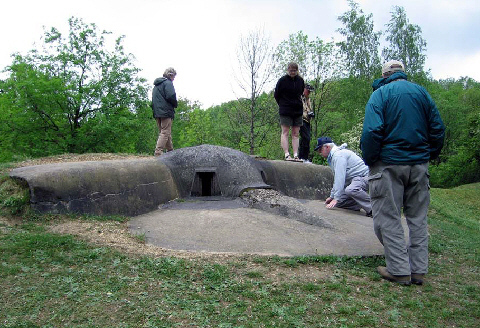 The Pamart pillboxes had two opening which could be close of with metal plugs. Inside were two Hotchkiss machine guns, one above the other, fired alternatively. One of them was set in one of the two opening when firing while the other waited underneath. 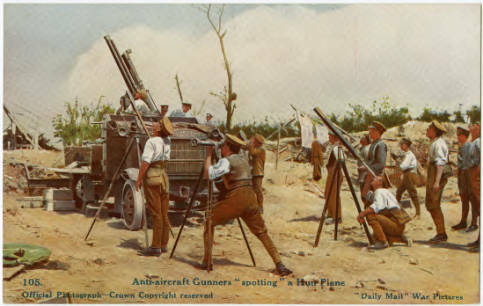 The gunner simply rotated them, firing one after the other. Readers of Herman Wouk's Winds of War and War and Remembrance surely recall Capt. Pug Henry, USN, who managed to appear in almost all the key battles of the war from Moscow to Leyte Gulf. A real-life character from the Great War with a similar resume is Colonel Harold Ozanne of the Royal Marines. I discovered him while doing a little research on the Battle of Jutland, where he not only fought but also found himself assigned to the battleship that set the record for receiving and surviving incoming fire during the 36-hour struggle. Here in outline form is a summary of his service. 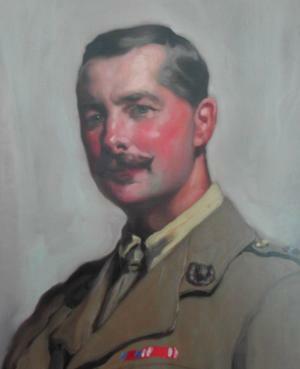 From 1898 to 1916 he served at sea regularly as the officer commanding the Royal Marine detachment on board Royal Navy battleships and cruisers in the Mediterranean, the Pacific, West Indies, and around the British Isles. Deployed in naval detachment Winston Churchill sent to Ostend, Belgium, in August 1914, returned and sent back to the fleet. Survived sinking of HMS Cressy, victim along with HMS Houge and Aboukir, of U-9 on 22 September 1914. Saved by Dutch fishermen. 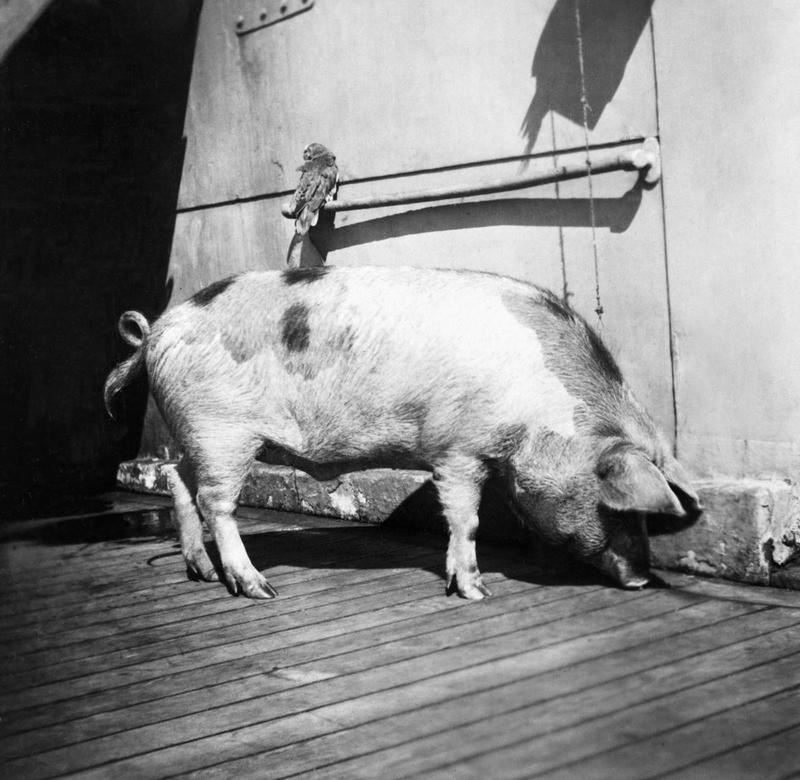 Assigned to HMS Warspite at Jutland. Warspite survived more enemy hits than any other ship in the battle and a subsequent U-boat attack while heading home. Volunteered for service in France and was assigned to the Royal Naval Division in August 1916. Fought in last phase of the Battle of the Somme and again in the sector in February 1917. He was one of only two officers of the unit to survive the action. 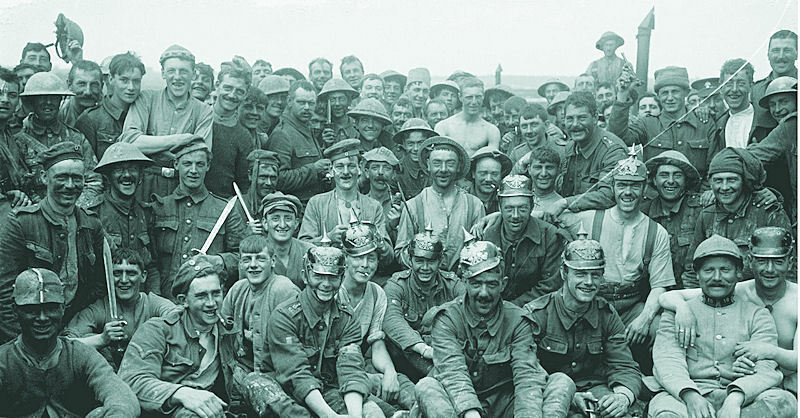 In the Battle of Arras, April 1917, fought two major actions. 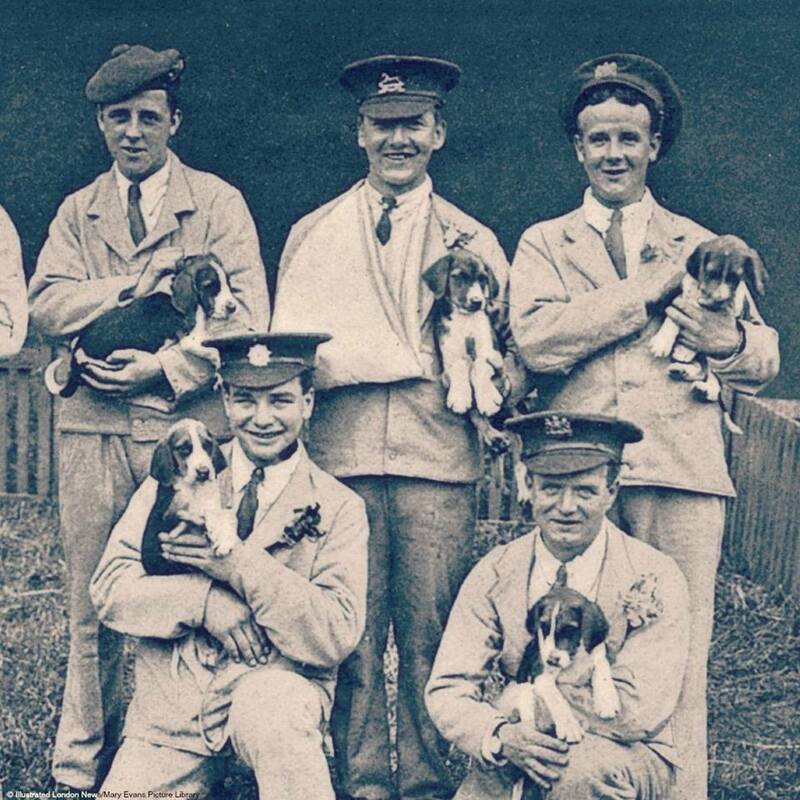 The Royal Marines suffered more casualties than in any other engagement in their history. Ozanne promoted to lieutenant colonel and command of the 1st Royal Marine Light Infantry. 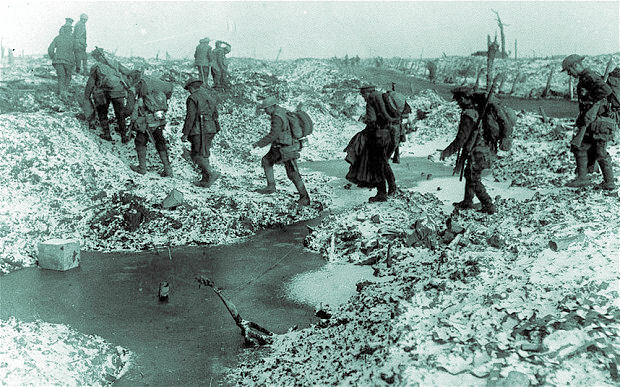 October 1917, fought in late stages of Passchendaele with the unit, again taking heavy casualties. Rotated Home in 1918. His superiors felt he had seen enough. Retired from service in 1927. 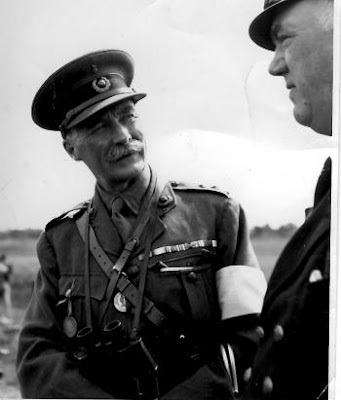 Recalled to command a Royal Marine depot in WWII. Finally retired in January 1944 and died a year later. There is an entire website dedicated to the life of Col. Ozanne and it has detailed information on all the events listed above, HERE. World War I did not produce a military hero who became president, but it did launch at least one aspirant, Gen. John J. Pershing, supreme commander of the American Expeditionary Force. 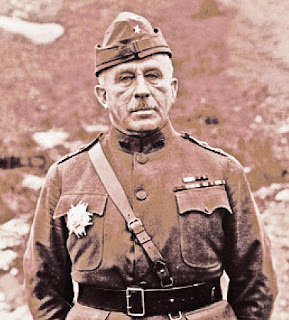 Pershing challenged a second soldier-candidate from an earlier war, Maj. Gen. Leonard Wood, for the Republican presidential nomination in 1920. Many believe Pershing's fear of Wood — an extremely political general — was his sole motive for mounting a campaign. However, the "Pershing for President" boom soon collapsed. Dawes and another friend of both Dawes and Pershing, Mark Woods of Lincoln, began working to establish a "Pershing for President" boom in Nebraska. Like most professional soldiers, Pershing lacked a permanent residence, but he had lived in Lincoln from 1891 to 1895, and his family continued to live there. His backers faced a daunting task — building a statewide organization before the April 1920 presidential primary. Rival candidates Leonard Wood and Senator Hiram Johnson were far ahead. The strategy for capturing the 16 Nebraska votes at the Republican convention was to present Pershing as a favorite-son candidate and rely on voter loyalty to a fellow Nebraskan. A long campaign ended when Nebraska voters went to the polls to vote in the primaries on 20 April 1920. The final tally found Johnson the victor with 63,262 votes; Wood, 42,385; and Pershing, 27,669. Nebraska's favorite son carried only Lancaster County by the slim plurality of 35 percent and was second choice in another ten counties near Lancaster. 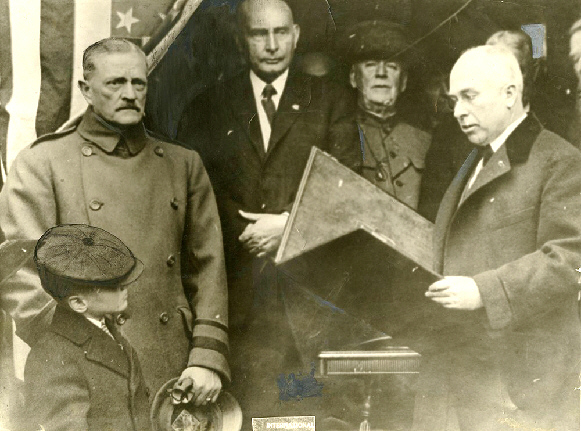 Pershing served as U.S. Army chief of staff from July 1921 to September 1924, when he retired from military service. He went on to additional distinguished service to the nation as the founding head of the American Battle Monuments Commission. 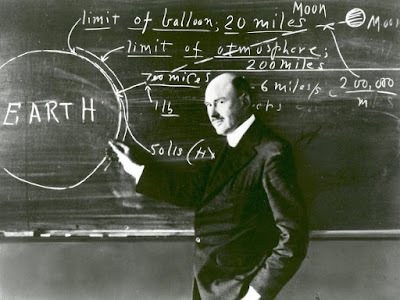 He died in July 1948. 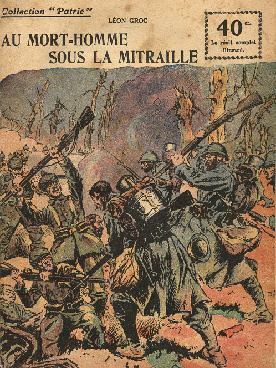 To summarize a battle with the scope and complexity of the Meuse-Argonne Offensive in a single volume is a tall order. Historian Mitchell Yockelson steps up to the plate and delivers a home run with Forty-Seven Days. Yockelson first lays a foundation by covering the background of the formation and early days of the American Expeditionary Forces (AEF). 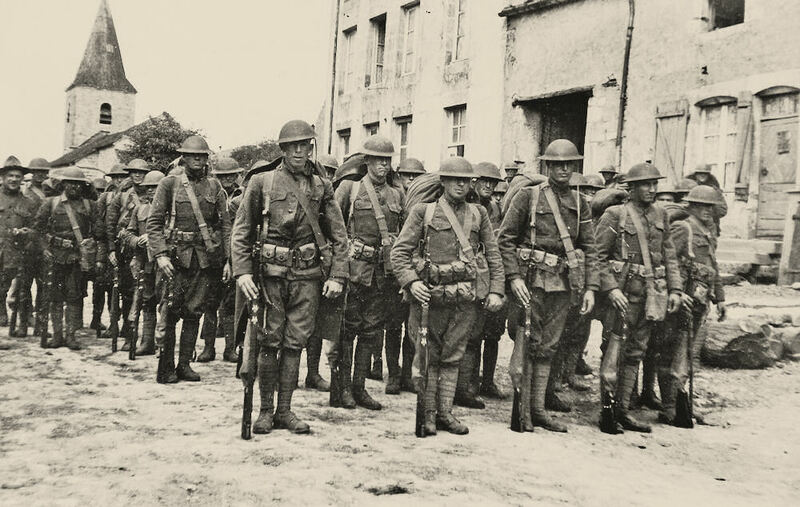 The struggle to transport, equip, and train so many men in a distant foreign country was epic, with General John J. Pershing's fight to stop amalgamation culminating in the formation of the U.S. First Army. 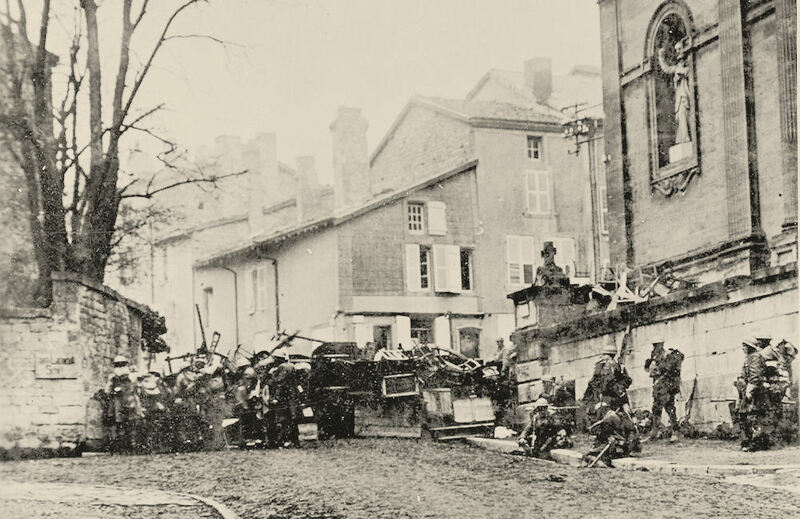 The St. Mihiel Offensive demonstrated that American soldiers, fighting under American commanders, would be effective and successful. Yockelson's account of the well-known meeting between Marshal Ferdinand Foch and Gen. Pershing where Foch tried to persuade Pershing to give up his plans for St. Mihiel, split the First Army, and concentrate on the Meuse-Argonne area, reminds us of the pressures that were brought to bear on Gen. Pershing. He did, of course, withstand the pressure, and the result was the successful St. Mihiel campaign, followed by the mad dash to the Argonne area and the climactic battle that followed. The bulk of the book is, of course, about the 47-day battle known as the Meuse-Argonne Offensive. Yockelson covers the full scope of the battle chronologically. 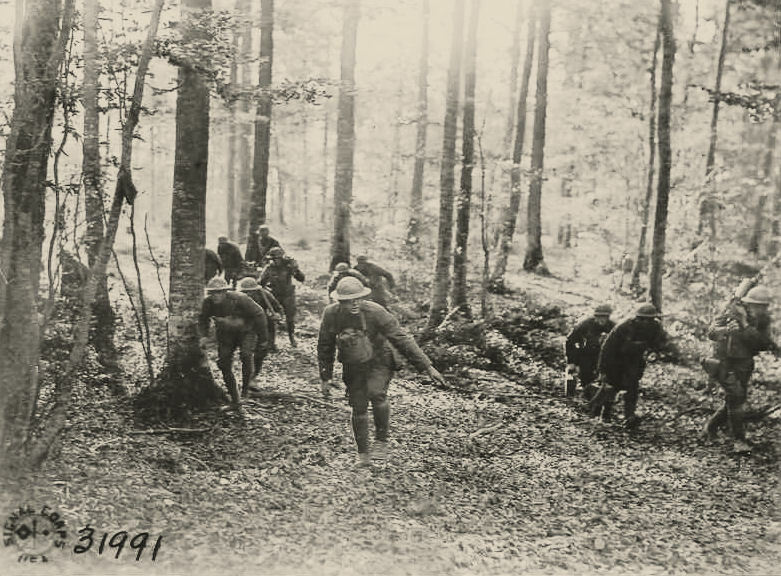 From east of the Meuse river to just west of the Argonne Forest, American soldiers, assisted by French artillery, fought a determined foe in difficult terrain that, in places, could be described as fortress-like. 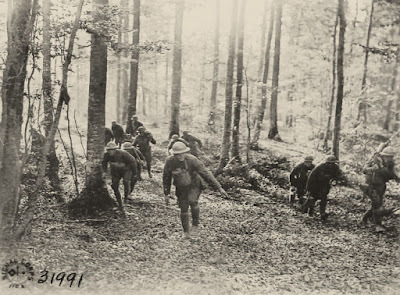 Although technically not a true part of the Meuse-Argonne Offensive, the battle of Blanc Mont, with the U.S. 2nd and 36th Divisions fighting under French command to the west of the Argonne forest, and the actions of the U.S. 2nd Army to the southeast of Verdun, are integral to understanding the overall action and strategy of First Army. Yockelson wisely includes enough of these other campaigns to help the reader put the war's final month in perspective. Some recent accounts of the AEF tend to focus on the shortcomings of General Pershing and other officers, down to, and including, platoon leaders. Yockelson takes a more balanced approach; he gives praise where it's due. 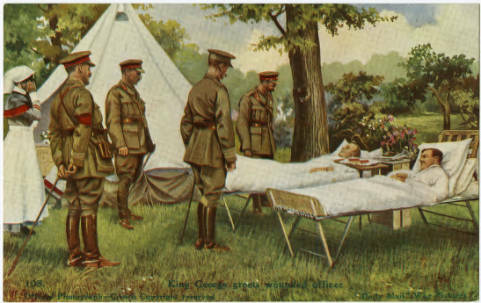 For example, General Pershing, Lieutenant General Hunter Liggett (commander of the First Army for the second part of the offensive), Major General Charles Summerall (commander of the 1st Division and, later, V Corps), and Colonel Hugh Drum (First Army chief of staff) all receive positive remarks. But Yockelson doesn't withhold warranted criticism; in particular, Summerall and Drum are rightly blamed for the 1st Division's ill-advised, yet impressive, march on Sedan in early November. In addition to covering the combat, Yockelson provides insight into the human interest elements of the story. One tidbit that I'd never read before concerns the tragic story of the New York sisters, Gladys and Dorothea Cromwell. Volunteer nurses who tended the wounded during the Meuse-Argonne, the sisters must have been badly traumatized by their experience — on their return trip to the U.S. in early 1919 they committed double suicide by jumping over the side of their transport ship. Another interesting aspect of Forty-Seven Days is the way in which Yockelson interweaves the stories of other service arms. For example, the activity of General Billy Mitchell's Army Air Service receives coverage, as does Lieutenant Colonel George Patton's Tank Corps. Combat support activity also receives its share of coverage. Readers will find interesting explanations of how German prisoners of war were handled and how the U.S. intelligence service used spies in Germany. Also of interest is the account of the "Hello-Girls," American women, fluent in French and experienced as telephone operators, who were recruited and sent to France to help facilitate telephonic communication on the Western Front. These worthy women were finally granted veteran status in 1978. Of course, the more well-known incidents are recounted, too. The exploits of Alvin York and those of Major Charles Whittlesey and his so-called Lost Battalion are in these pages, along with a brief account of Father Francis Duffy, chaplain of the 165th Infantry Regiment in the 42nd "Rainbow" Division. Other heroes, like Air Service aces Captain Eddie Rickenbacker and Lieutenant Frank Luke, and Medal of Honor recipient Lieutenant Sam Woodfill, are featured as well. Pershing's warriors fought tenaciously and bravely, although at times recklessly, against a far superior opponent...The battle of the Meuse-Argonne was not the sole reason the Allies won the war, but it was certainly the deciding factor. Pershing's forces broke the back of the mighty German Army in the most heavily defended section of the western front. Over forty-seven days of brutal combat, the Germans were forced to withdraw and give up the fight [pp. 319-320]. 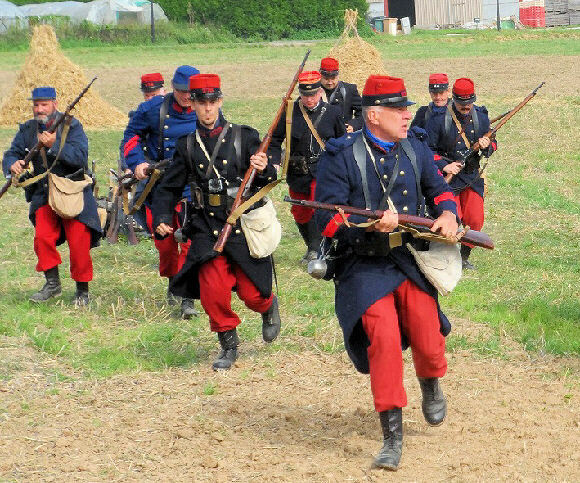 French infantry had been wearing distinctive red trousers back to 1829, under the reign of Charles X. 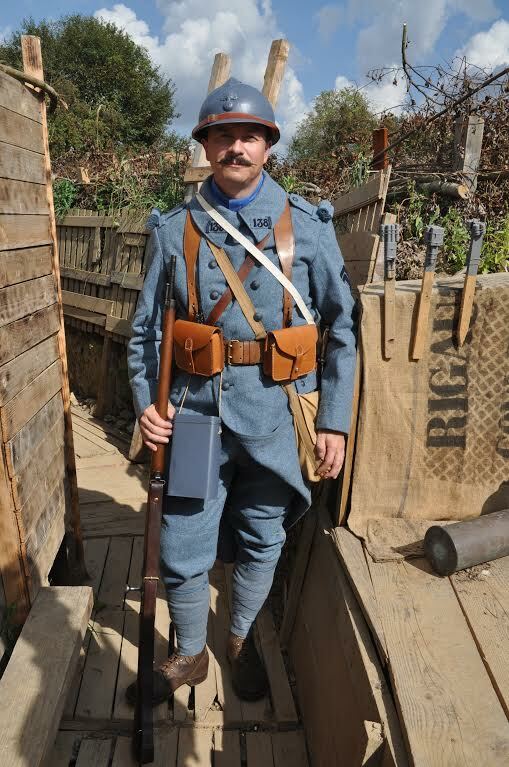 The model of 1867, modified in minor ways up to 1887, was what the troops wore in August 1914. The soldiers certainly looked grand on the march, with the dark blue coat (capote) making for a dramatic contrast. 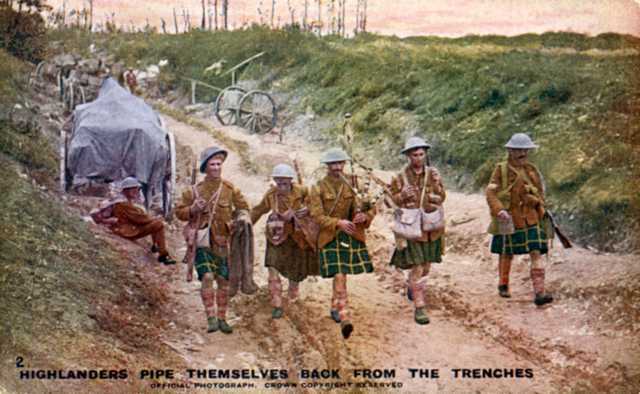 Soliders love wearing distinctive uniforms (ask any Marine), and even on the eve of the Great War one minister said, "The red trousers are France!” Several prewar military developments, however, doomed many of the men wearing the rouge pantaloons in the war's early battles. 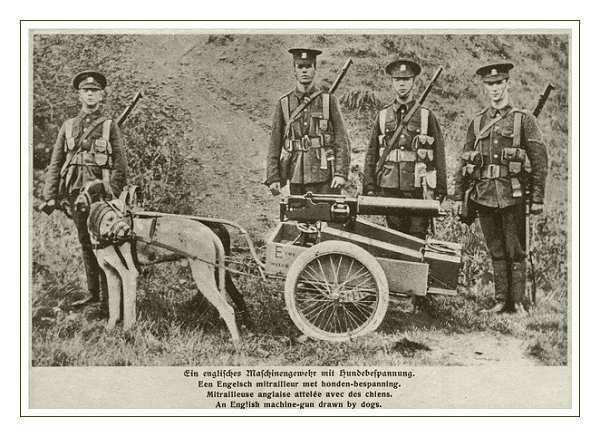 Rifles and machine guns had longer ranges and smokeless powder improved battlefield visibility. The Frenchmen were just too easy to see and to hit for the Germans. The horrendous casualties of the opening battles doomed the flashy uniforms. While many remember the awful first day of the Somme for the British Army, few remember that on 22 August 1914 the French Army took even greater casualties. By the end of the month plans were under way to replace the soldiers' uniforms with the horizon blue uniform shown below. Ironically, the more subdued kit became an even greater source of pride for the Poilus. Some of the tersest, bitterest, and most moving verse on the war is contained in his collection of 33 epitaphs. Here are five of my favorite. 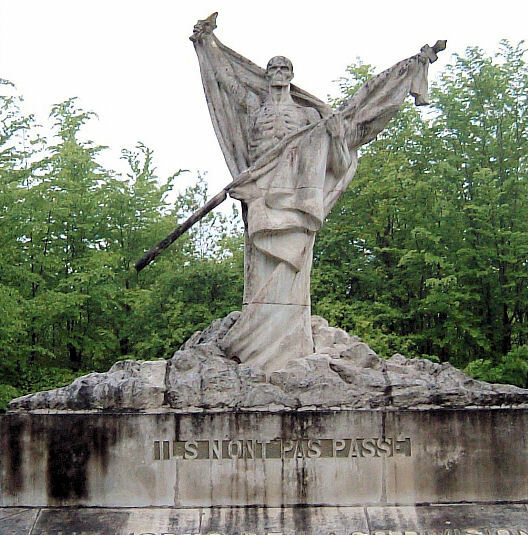 The famous Mort Homme "Skeleton Memorial" commemorates those of the French 69th Division, who bore the brunt of much of the fighting during the critical period. The monument, by Froment-Meurice, was unveiled in 1922. It bears the famous words Ils N'ont Pas Passe ("They Did Not Pass") in response to the rallying cry Ils Ne Passeront Pas! 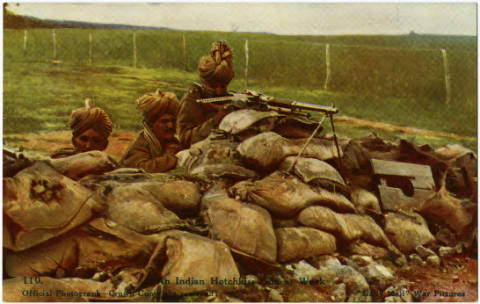 ("They Shall Not Pass!) of General Robert Nivelle's Order of the Day for 23 June 1916. Atop Mort Homme is also a memorial to the men of the French 40th Division, in the form of a tall obelisk with a sword engraved on the front and the words Mort Homme inscribed on the top. There is no commemorative for the thousands of Germans who also fell on the hill. 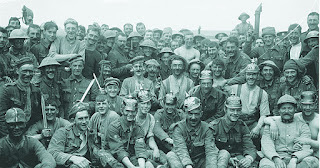 After three months of ferocious fighting, Mort Homme was secured by German forces on 29 May 1916. The hill was the site of further back and forth action after the official end of the Battle of Verdun. 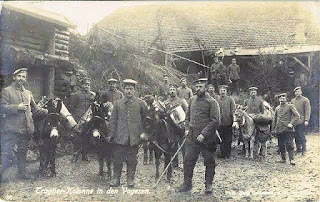 French forces finally secured the hill on 20 August 1917. A year later it would be immediately behind the jump-off line for the American Meuse-Argonne Offensive. 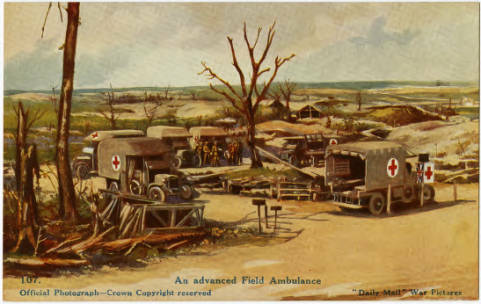 During the 1916 fighting, American Field Service ambulances had helped evacuate wounded from the Mort Homme and Cote 304 sector on the left bank. 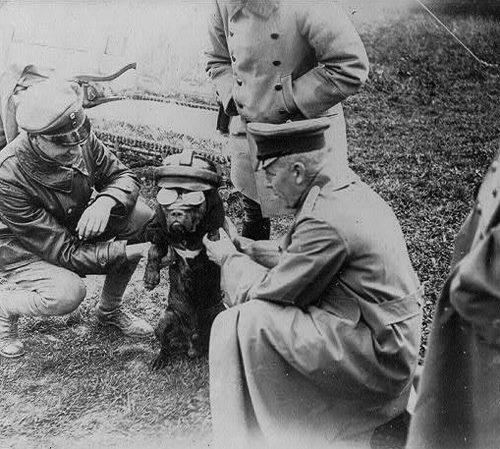 As the French situation at Verdun was becoming more and more severe, General Joffre appealed to the other Allies for a diversionary action someplace else in order to compel the Germans to withdraw part of their forces from the offensive. Nicholas II acceded to the French request, choosing the Lake Naroch area in White Russia (Belarus) because there 350,000 Russians (parts of two army groups) faced just 75,000 Germans under General Eichhorn. After a two-day artillery barrage, however, the advance was annihilated by the well-entrenched German defenders. The maximum Russian advance in just a scattering of places was merely a few hundred yards. In the month following, the Germans regained all the lost territory. 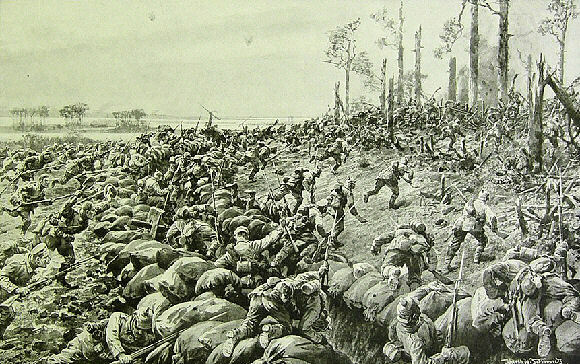 A secondary assault to the north against Riga under the command of Aleksei Kuropatkin, the defeated general of the Battle of Mukden in the Russo-Japanese War, failed similarly. 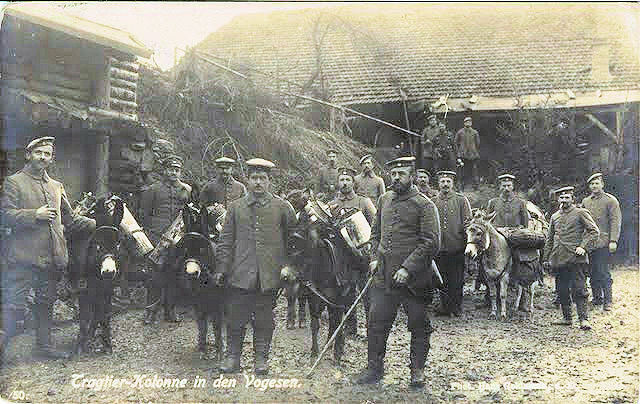 With its tactical failure and the 100,000 casualties suffered, the main result of the campaign was its blow to Russian morale, already on the decline after the great retreat of 1915. It had no impact on the assault at Verdun. Isoroku Yamamoto (1884–1943), Japan's great admiral-to-be, was certainly well positioned and of the right age to play a major role in his nation's World War I effort. He was a wounded veteran of the great victory at Tsushima, and he had already been moved onto the fast track to high command by his superiors. 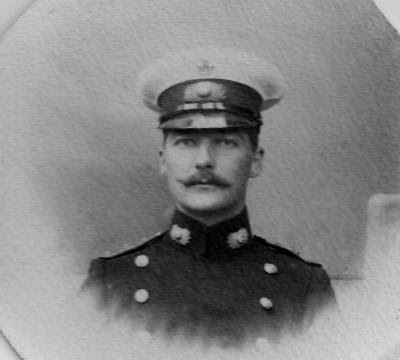 However, the outbreak of war in 1914 found him at the naval staff college where he was required to complete the curriculum before returning to full-time service. 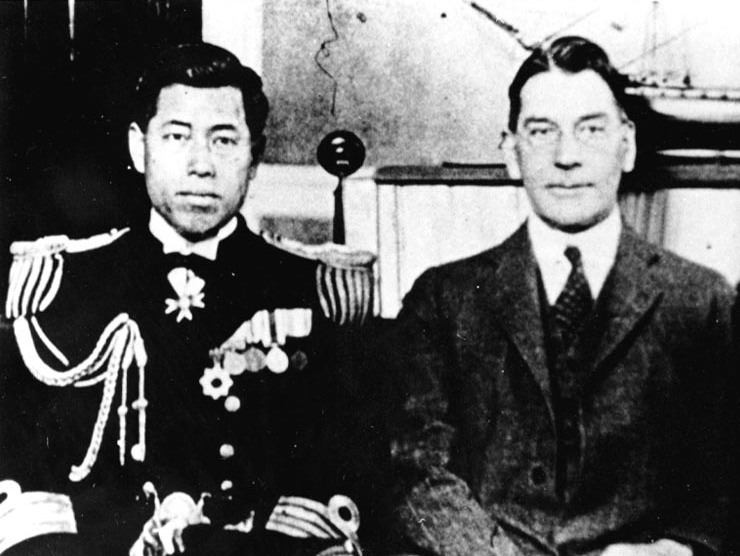 After his graduation in 1916, Yamamoto, now a lt. commander, was assigned to the staff of the 2nd Battle Squadron. Nothing of great military moment apparently occupied him during the period leading up to the Armistice. His biographers concentrate on two other personal matters during this period. 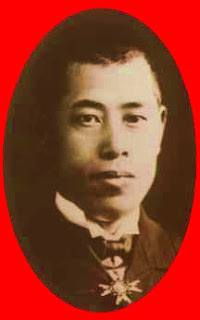 He was adopted at this time into the distinguished Yamamoto clan (his original surname was Takano) and he was married. Postwar he would have two well-documented extended assignments to the homeland of his future American adversaries, as a student at Harvard University and, later, as two-time naval attaché to Washington. The Inside Story of "The Scrap of Paper"
Sir Edward Goschen, the British ambassador in Berlin, called on Chancellor von Bethmann-Hollweg for a final interview. Goschen's report to Sir Edward Grey, quoted below, indicates the origin of the phrase, "a scrap of paper" (i.e. 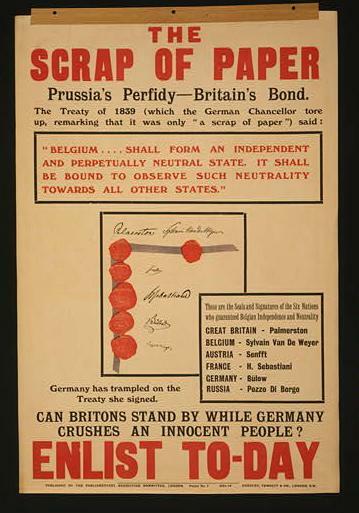 the 1839 treaty guaranteeing Belgium's neutrality), which had an important effect on world public opinion. Note that Goschen isn’t actually quoting von Bethmann-Hollweg but, rather, is summarizing the gist of his remarks. Thus the exact wording — “a scrap of paper” — is Goschen’s, not necessarily the German chancellor’s. 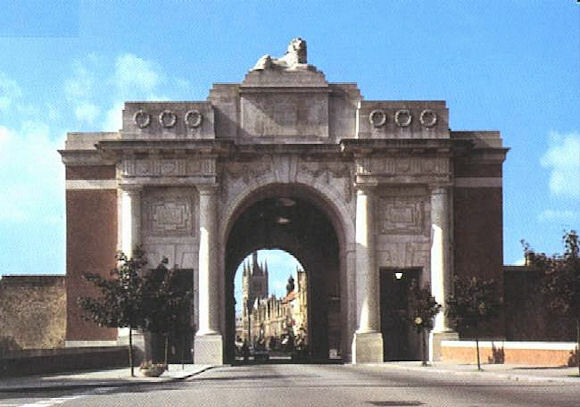 In accordance with the instructions contained in your telegram of the 4th instant, I called upon the Secretary of State that afternoon and inquired, in the name of His Majesty's Government, whether the Imperial Government would refrain from violating Belgian neutrality. 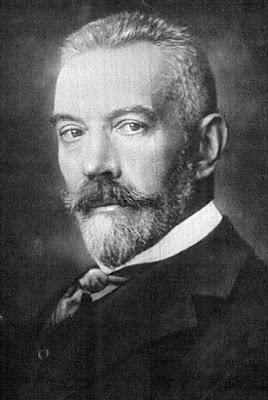 Herr von Jagow at once replied that he was sorry to say that his answer must be "No," as in consequence of the German troops having crossed the frontier that morning, Belgian neutrality had been already violated. Herr von Jagow again went into the reasons why the Imperial Government had been obliged to take this step, namely, that they had to advance into France by the quickest and easiest way, so as to be able to get well ahead with their operations and endeavor to strike some decisive blow as early as possible. It was a matter of life and death for them, as if they had gone by the more southern route they could not have hoped, in view of the paucity of roads and the strength of the fortresses, to have got through without formidable opposition entailing great loss of time. This loss of time would have meant time gained by the Russians for bringing up their troops to the German frontier. Rapidity of action was the great German asset, while that of Russia was an in exhaustible supply of troops. 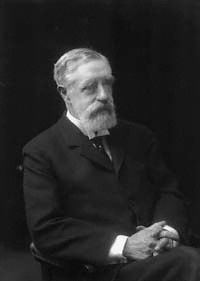 I then said that I should like to go and see the Chancellor [von Bethmann-Hollweg], as it might be, perhaps, the last time I should have an opportunity of seeing him. He begged me to do so. I found the Chancellor very agitated. His Excellency at once began a harangue, which lasted for about twenty minutes. He said that the steps taken by His Majesty's Government was terrible to a degree; just for a word -- "neutrality," a word which in war time had so often been disregarded -- just for a scrap of paper Great Britain was going to make war on a kindred nation who desired nothing better than to be friends with her. All his efforts in that direction had been rendered useless by this last terrible step, and the policy to which, as I knew, he had devoted himself since his accession to office had tumbled down like a house of cards. What we had done was unthinkable; it was like striking a man from behind while he was fighting for his life against two assailants. He held Great Britain responsible for all the terrible events that might happen. I protested strongly against that statement, and said that, in the same way as he and Herr von Jagow wished me to understand that for strategical reasons it was a matter of life and death to Germany to advance through Belgium and violate the latter's neutrality, so I would wish him to understand that it was, so to speak, a matter of "life and death" for the honor of Great Britain that she should keep her solemn engagement to do her utmost to defend Belgium's neutrality if attacked. That solemn compact simply had to be kept, or what confidence could any one have in engagements given by Great Britain in the future? The Chancellor said, "But at what price will that compact have been kept? Has the British Government thought of that?" I hinted; to his Excellency as plainly as I could that fear of consequences could hardly be regarded as an excuse for breaking solemn engagements, but his Excellency was so excited, so evidently overcome by the news of our action, and so little disposed to hear reason that I refrained from adding fuel to the flame by further argument. reviewed by Margaret Spratt, Ph.D. In 1915, a new song produced by Tin Pan Alley in New York City swept through the U.S. and could be heard in every music hall and front parlor with an upright piano. 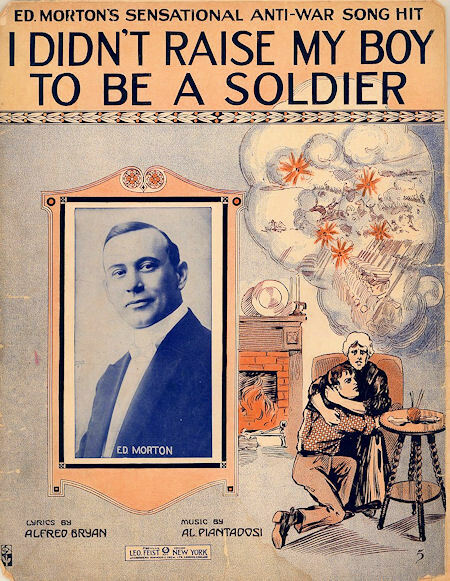 "I Didn't Raise My Boy to Be a Soldier" expressed the popular beliefs of pacifism and isolation from the European War of the moment. Less than two years later, in 1917, a new song took America by storm. It was called "Let's All Be Americans Now" and was written by a Jewish immigrant from Russia named Irving Berlin. The lyrics pled the case for support of the Allied cause and appealed to new Americans with the lines: "…now is the time, To fall in line, You swore that you would so be true to your vow, Let's all be Americans now." Nowhere did these words resonate more significantly than in New York City. As Ross Wilson, the author of this outstanding study, explains, New York City was a city of immigrants. Thus, it epitomized the struggle Americans of various ethnic and cultural backgrounds faced as war raged in Europe. Comprised of dozens of distinct neighborhoods with their own ethnic associations, institutions, and newspapers, New York City's transformation to a relatively cohesive patriotic unit was neither smooth nor swift. Suppression of free speech, political corruption, and violence as well as the formation of civic loyalty groups and mass activities, all contributed to this process. In addition, New York City represented to the rest of the nation all that was suspicious. How could you trust a landscape that was in such flux, inhabited by hundreds of thousands of migrants from every destitute corner of Europe? They were Jews and Catholics, Serbians and Italians. They spoke other languages, dressed in native garb, and brought "strange" ideas like socialism with them from a morally bankrupted Europe. Were they really Americans? And most importantly, would they "fall in line" as the song implored? If the citizens of New York City could embrace loyalty to America's interests, so could the rest of the nation. The author is a senior lecturer at the University of Chichester in Great Britain. His study breaks new ground in a number of ways. Urban history of World War I has concentrated on European cities that were either in the middle of or close to military action. 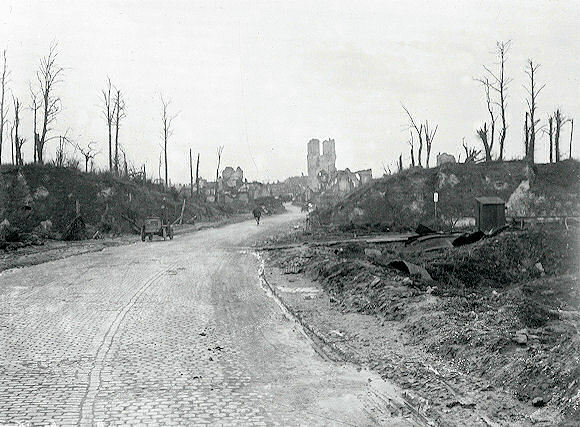 The metropolis was as much a victim of total war as the forest of the Argonne. But a study of New York City gives us the opportunity to look at the war experience as it was played out in the public spaces and private homes of citizens far from battle. As Wilson explained, "…this is not a study of the city as the war raged on some faraway battlefields: this is a study of the city at war." The book is divided into six chapters tracing the ideological transformation of the "immigrant" city into an "American" city from 1914 on. The author looks at the formation and activities of dozens of relief organizations and defense societies. He examines the efforts of the city's elites as well as food rioters. He sees the Liberty Loan campaigns and the institution of the draft as altering the city not only ideologically but also physically. 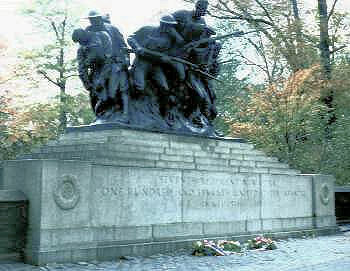 Perhaps most noticeable were changes at the end of the war when public spaces such as streets and squares were renamed to commemorate local servicemen and over 100 memorials were placed all through the five boroughs. From the viewpoints of urban and World War I history, this is a path-breaking book. The research is top notch. The historiography essay in the introductory chapter and the bibliography are well worth perusal. But this is not a book for the casual reader—rather it will attract the serious scholar. Part of the Ashgate Studies in First World War History, the book is seriously expensive. However, this historical study will attract an appreciative audience. 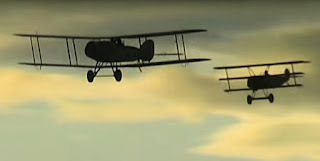 If you enjoy watching the aircraft of the Great War in the air and in all their restored beauty, the videos of the Historical Aviation Film Unit from Down Under are hard to beat. My favorites are the dogfight sequences where they match some of the classic fighters of the war. Here are a couple of stills I grabbed from two of the hundreds of videos they make available. In my experience, connoisseurs of World War I poetry either love or detest A.E. Housman. [Full disclosure here: I discovered Housman's elegy "To an Athlete Dying Young" in high school and was a fan before I discovered WWI and the war poets.] 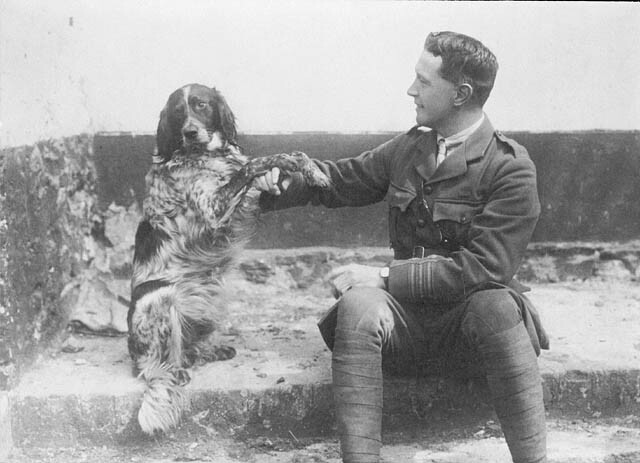 Generally, I have found that those who particularly enjoy the early period Great War Poets (say, Rupert Brooke and John McRae) are in the pro camp and aficionados of the later, bitter and ironic phase (e.g. 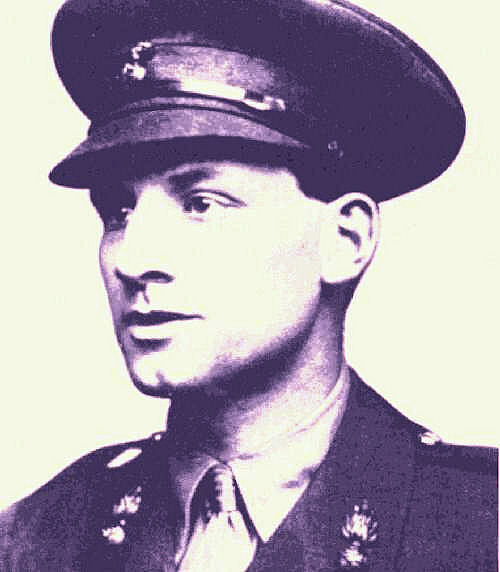 Wilfred Owen, Siegfried Sassoon), tend to reject him. "In Valleys Green and Still"
Since I am a bit out of my depth here, I sought out some better informed commentary that might shed some light on this. I found these comments on Housman and "Here Dead We Lie" by critic Anthony Lane. 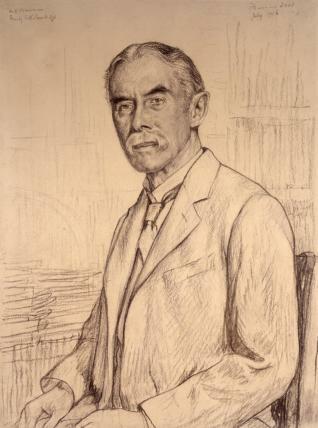 That is Housman for you: the more simple, even heroic, the note he sounds—and the words of the poem above are as plain as crotchets on a stave—the more you catch a strain of discord or unease beating time below. After all, how consoling are those lines? 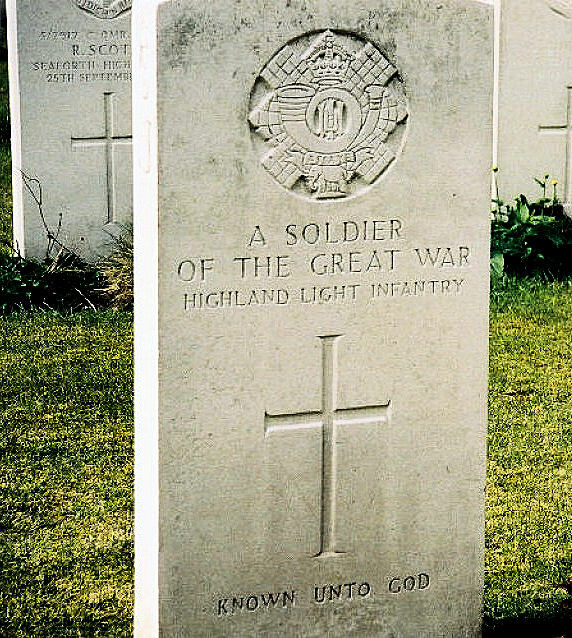 If you were the parent of a dead soldier, Housman would give you plenty to take pride in; on the other hand, the poem—this is all it consists of—is spoken not by the mourners but by those who are mourned, and the last line, if read out loud, could easily sound bitter at the premature dashing of hopes. Since we have been operating this blog, I've discovered that animal articles and anything from our "Rat Catchers" series magically give a big boost to readership. So here are a few of our favorite photos from the files. 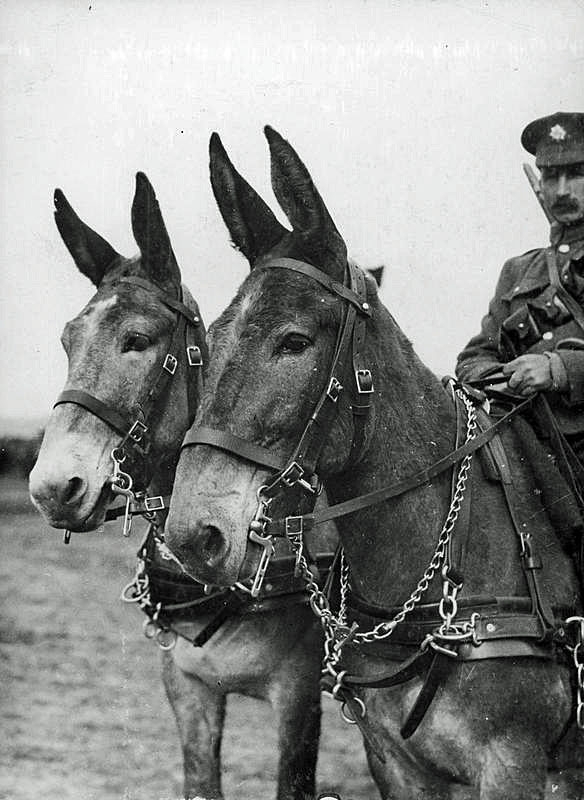 We had a "War Horse" feature a while back, so there are no equines in this series.